Congratulations Grace and we hope to see you tomorrow at the lovely Quinta Essentia in Zwaanshoek (NL). Hear all about her new solo album and the festival Calling in spring where it will be released! To win 2 tickets and the album, share this post and tag the friend you will bring along. Please, set the post to public so we can see you shared it. As said we are op to some mischief!!!! Check out this video of The Royal Spuds to see what we are up to!! What do you have to do to have a chance at winning 2 tickets? Easy! Just tag the person you want to take with you to the concert in the comments, and then share this post to your own timeline. Remember to set the share to public, or we won’t be able to see it! You have two weeks, entry to this competition will close on the 29th of January at 18:00 CET, so be quick! Now, why do we call this a “crazy” event give away? Because this post contains TWO events! 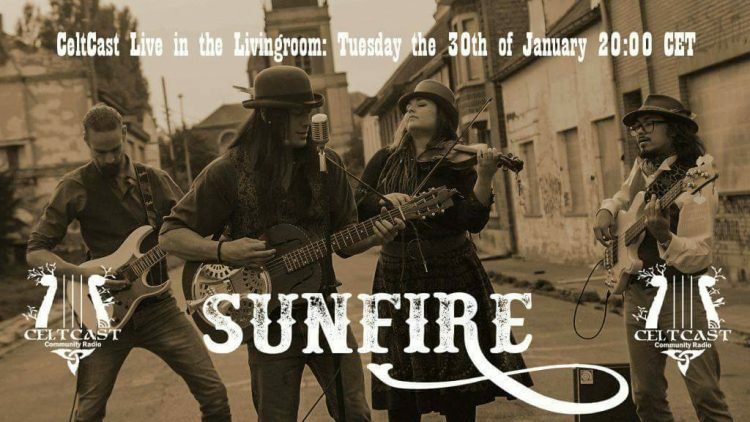 You see, the lucky winners will be drawn during our upcoming CeltCast Live: Sunfire in the livingroom event, by none other than Sunfire themselves! This will be broadcast on our Facebook page live and free for all on the 30th of January from 20:00 CET. Join us for some fun and games, and ask your questions you’ve been dying to ask the band! Have you heard about the Midwinter Fair Archeon ? 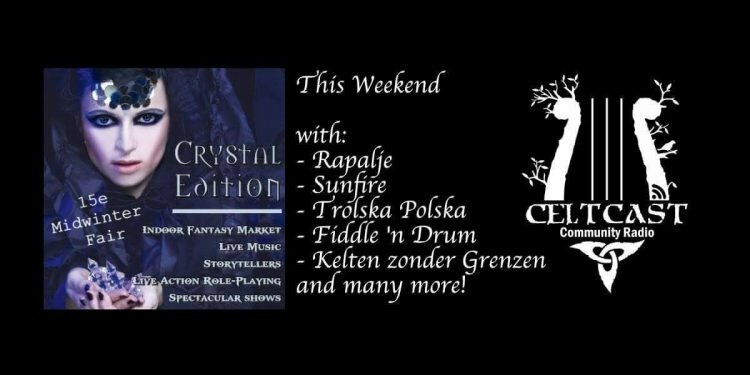 Bands like Rapalje , Sunfire , Trolska Polska , Fiddle ‘n Drum , Kelten zonder Grenzen , and many, many more. Want to go? Don’t have a ticket yet? Cool! In cooperation with Archeon we are able to give away two one-day tickets to the Midwinter Fair, to be used on the day of your choosing! All you have to do to be able to win these tickets is tag the person you are taking with you in the comments, and then share this post, set to public, on your timeline. But be quick about it, the Fair starts Saturday, so you only have until this Friday, the 8th of December, 18:00 CET to enter!